‘A nicely done short that serves as an interim between Empress of the Seven Hills and Lady of the Eternal City. Certainly got me interested in reading the rest of the series.” That is what I wrote after reading The Three Fates, a fill-in short between books 3 and 4. 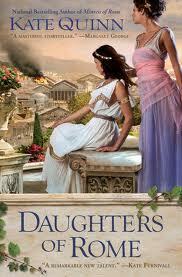 With that bit of exposure to the author I plunged into book 1, Mistress of Rome having had my interest duly piqued. I must say that even with that bit of exposure I was still blown away with this tale of love, ambition and just plain survival. The story takes place during the reign of Domitian, or Lord and God, as he preferred to be called and is an interwoven tale that brings together a most disparate group of people. Thea, a slave who becomes Domitian’s mistress….Lepida, a rich, spoiled Roman woman consumed with ambition…Arius, a gladiator known as The Barbarian to name a few. 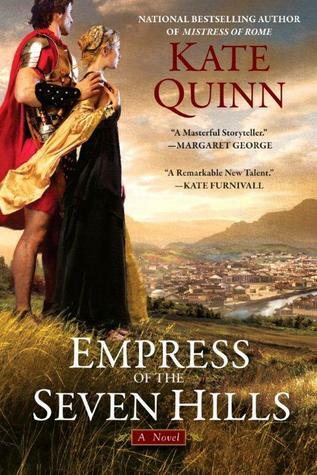 Rome was a dangerous place and even more so when coupled with exposure to the Imperial court and the author does a marvelous job in making the reader feel the palpable anxiety whenever one is in the presence of the Emperor. Domitian is portrayed as a capable ruler but with a mercurial streak of sadistic behavior. While he does inflict a lot of pain, it is the character of Lepida that I found the most delight in loathing. Simply put, she is a devil-clawed seeker of pure naked ambition, Those are but two of the well done characters, characters that draw you into a comfortable embracing of what makes them tick. As to the tale itself, the plots are many, the twists and turns are eye-opening. 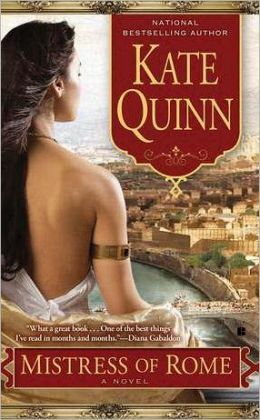 If there is anything that I would complain about it would be these two things: (1. now I have another author to follow through this series and then her books on the Borgias…so many good things to read takes away from my time to write and (2. another author whose writing is so good that I despair in my own attempts. 🙂 5 stars Hooverbookreviews says, you gotta read this.